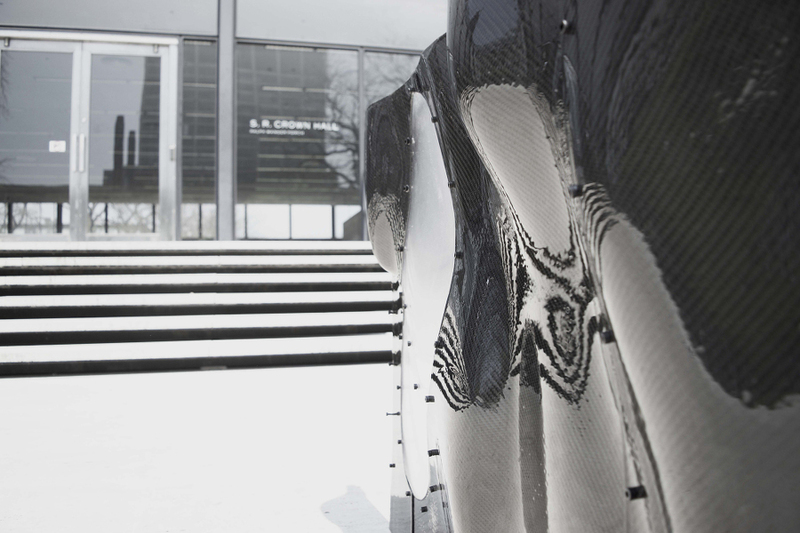 Though only one semester had elapsed since the student-designed and fabricated FIBERwave carbon fiber pavilion went up, by early 2015 IIT professor Alphonso Peluso was hungry for more. 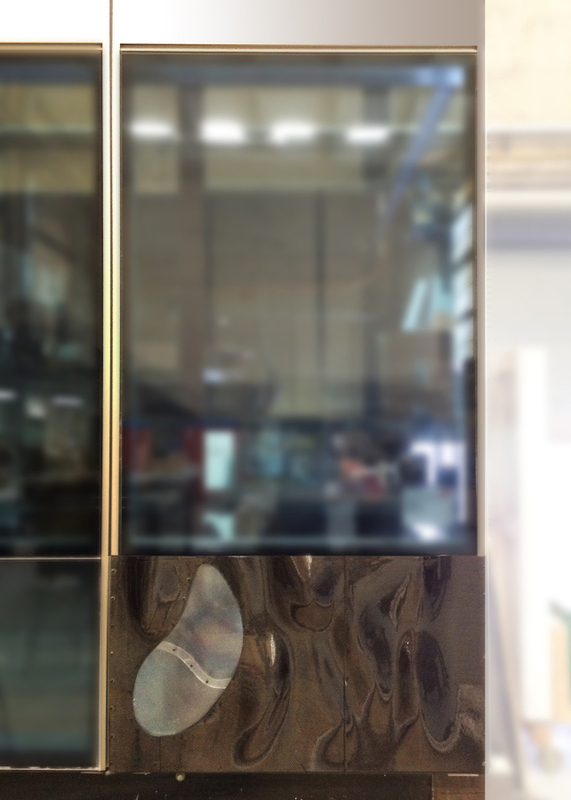 For his Digital Fabrication seminar this spring, Peluso upped the architectural ante, asking students to think in terms of a facade panel system rather than a freestanding structure. “It seemed like if we wanted to be taken seriously, we’d have to [focus on] a real-world application,” he explained. 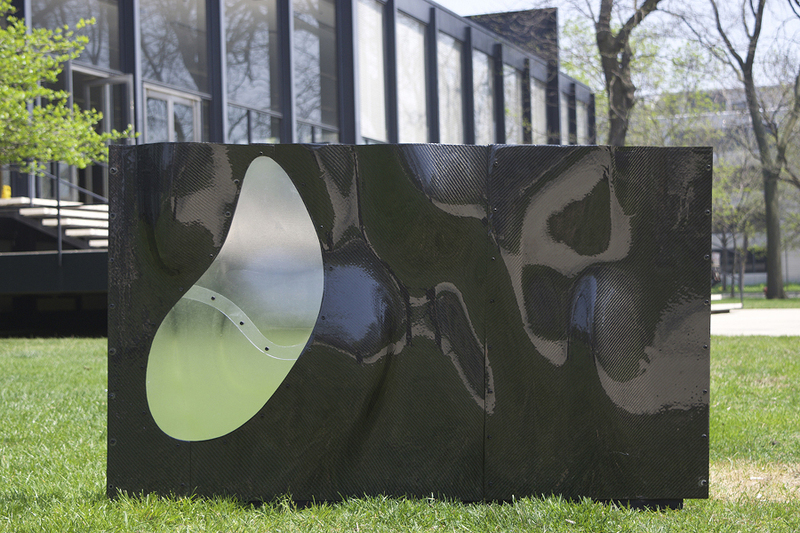 With support from a number of outside experts, Peluso and his students designed and built a full-scale panel segment in a single semester. 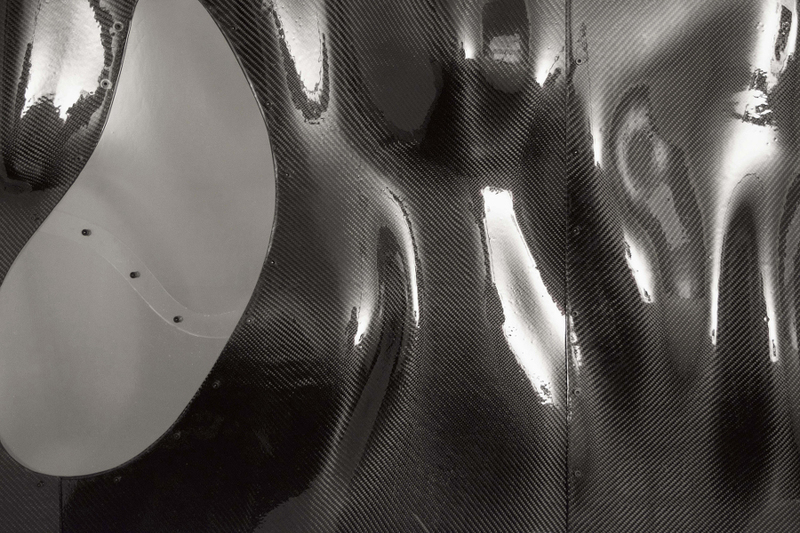 Beyond demonstrating the capacity of carbon fiber to function as a building skin, CARBONskin evidences the synergetic power of curiosity backed by experience. Before tackling the facade panel design, the seminar enrollees—Carlos Davalos, Pablo Ferrer Franco, Jacob Harney, Raleigh Howard, Zhitao Hu, Zachary Jaffe-Notier, Aishwarya Keshav, Bowen Lu, Caio Mendonca Placido, Mina Rezaeian, and Eric Schwartzbach—gained early exposure to carbon fiber in a seasonally appropriate exercise. Knowing that students enjoy fabricating at full scale, and deciding to take advantage of the particularly cold weather, Peluso tasked the students with designing ice structures in the vein of Heinz Isler. 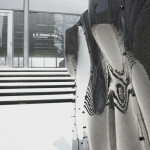 “I saw a connection between ice structures and carbon fiber,” he recalled. 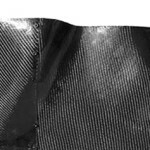 “With carbon fiber, you work with cloth, and use chemicals to make it structural. I thought, ‘Why not use water instead, and harden the cloth into ice? 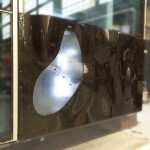 '” Because the forms involved hanging cloth over supports, moreover, the students could start working with carbon fiber immediately, building small-scale prototypes of their ice structures without first completing a tutorial in CNC milling or molding techniques. 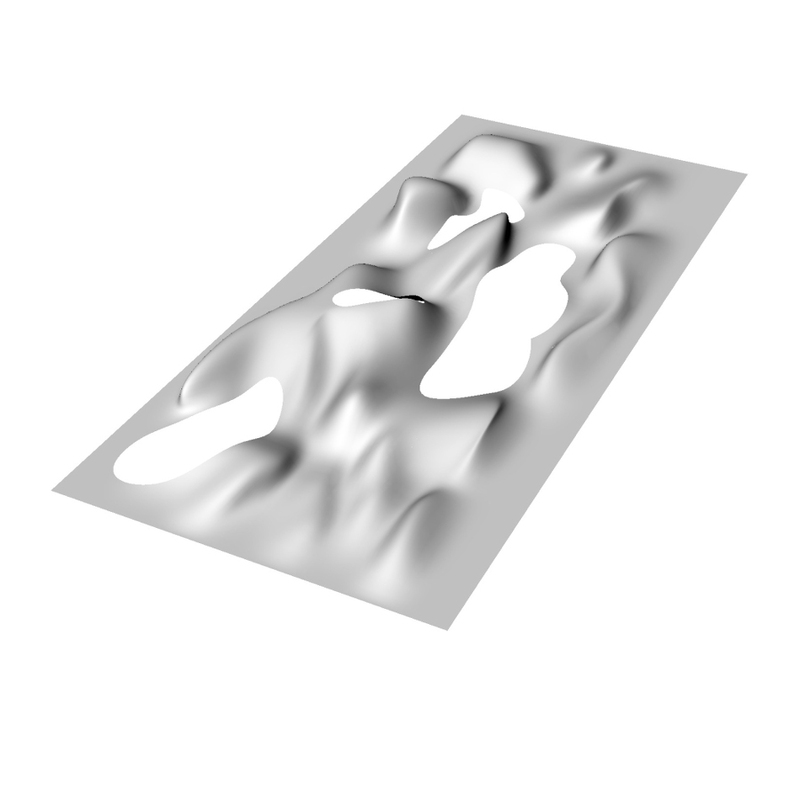 Soon, however, it was time to shift focus to the facade system itself, which would be applied to a disused two-story curtain wall mockup on the IIT campus. 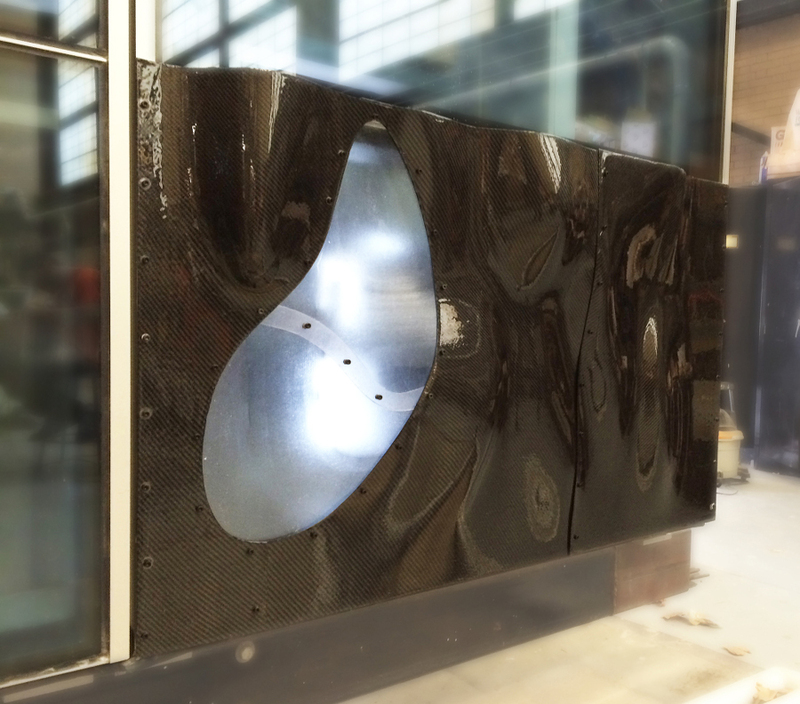 Working in groups, the students designed and fabricated scale carbon fiber models of four facade panels. At midterm, they presented their designs to Polynt Composites‘ Rick Pauer. (Peluso and Pauer first met through the comments section in an AN article on FIBERwave.) 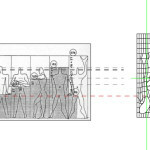 Both Pauer’s critique and the students’ own experience were instrumental in determining a final panel configuration, which the class voted on after a design charrette. To work around another challenge—the fact that the molds were too large for the school’s vacuum former—Peluso called on Matt Locaciato of Fiberworks. 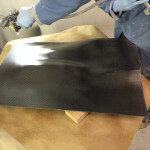 Locaciato showed the class how to use a Duratec primer (donated by Composites One) to prevent the carbon fiber from sticking to the CNC-milled wood molds. 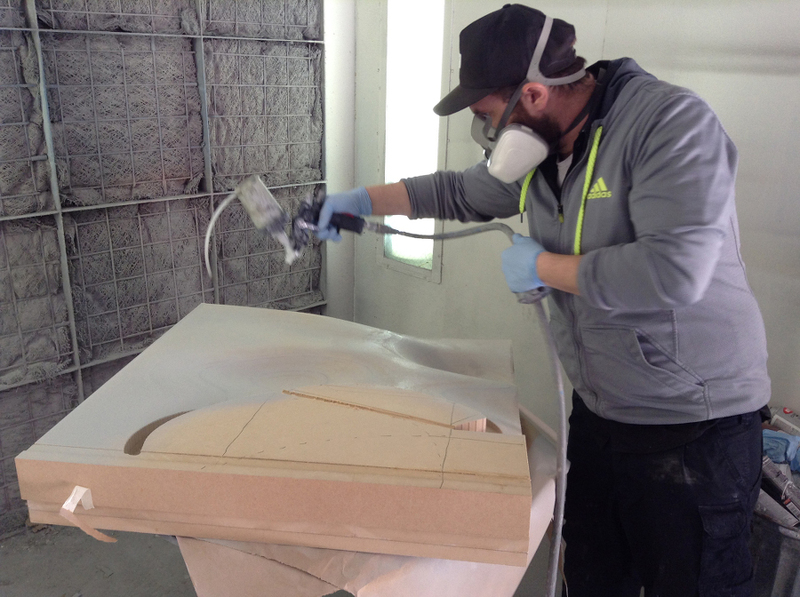 “It was our first time using the primer and it worked,” said Peluso. 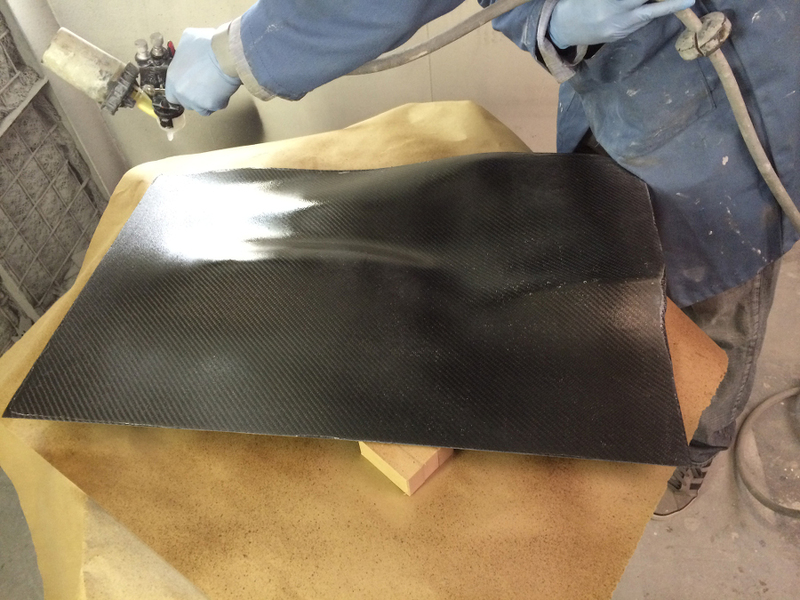 “It was one of those magical things.” The rest of the fabrication process, which involved curing the carbon fiber with West Systems epoxy resin, releasing it from the mold, CNC-trimming the panel to size, and finishing with several applications of a Duratec top coat, went smoothly.